Today, Espressos of Faith is delighted to have guest blogger, Bonnie Sue Beardsley of More Than Just Coffee. If you pay even a little attention to me, you can see we are not only name but also coffee twins, joined at the hip by our love for God, and secondly, writing. I drew so much wisdom from this post of hers. It somehow reached into an old, rusty wheel that turns once in a while inside my mind and heart and oiled it with God’s Truth. Don’t we all resurrect those old negative voices now and then? 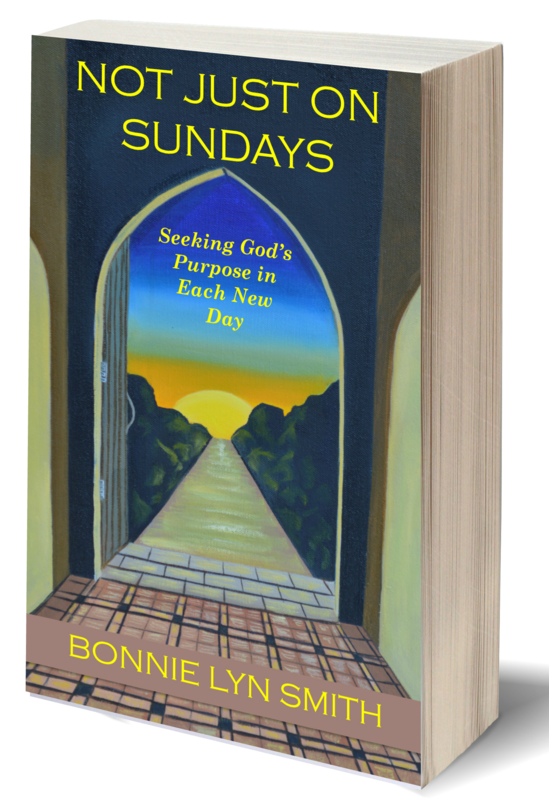 See how Bonnie encourages you to follow Scripture to shut out the self-talk that holds you back. She shares what lies just ahead of pushing through. Blessings! 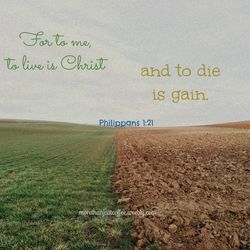 I’m sure when Paul wrote Philippians 1:21, he was talking about physical. What I learned is this verse is one of the most powerful truths to ending the negative self-talk. We let it run amuck in our heads everyday. It doesn’t matter if I know Philippians 4:13 says that I can do all things in Jesus. It is when I let the voice get in my way and stop me from even attempting to try to do something, like write a fiction piece. This week there was a challenge in a post to write a spontaneous piece to a picture in the post. My first thought was there is no way I could do that. Then as I sat looking at the picture thoughts of what was going on in the scene started popping into my mind. I pushed past the negative thoughts and wrote down what was going on in my mind about the picture. When I finished it, I could not believe what I wrote. Did you notice what happened? I had to die, put to death the negative self-talk to do what I thought I couldn’t do. When I died to my thoughts of not being able to write fiction, then I became alive to new God was working in me. What are some of your mind games you need to die to, so you can live what God has planned for you? For years I have been comfortable serving in women’s ministry behind the sound booth. When we move to Texas, I lost that hiding place. Soon after we moved God placed on my heart to write devotions for women. I fought with God over that. I was a busy wife and homeschooling two boys. Didn’t God know I didn’t have time to write. Ten years later several friends asked me to start my own online study. He never gives up on us. Now I write for Him. *This blog was first featured at More Than Just Coffee. Join Bonnie at her Bonbon ‘n’ Coffee Link-up Party each Thursday!